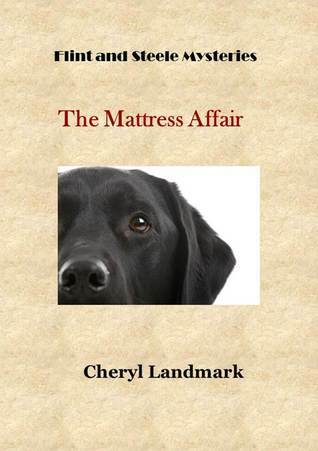 The book, The Mattress Affair,* by Cheryl Landmark describes a family mystery through the eyes of an intelligent dog: Flint. Flint lives with Meredith Steele, his human companion, in Gros Cap. He is a four-year old black Labrador Retriever and Meredith’s partner in the detective agency: Flint & Steele. One day, two unsavory relatives pay Flint’s spirited neighbor, Abigail Tunner, a visit. Caleb and his wife (Abigail’s nephew and niece) claim that they want to improve their poor relationship, but Flint thinks that there’s more to this visit. After all, Abigail Tunner is a reclusive person in a small town whereas Caleb and his wife come from Toronto city. Using his nose and sharp wits, Flint uncovers a malicious plot and ulterior motives. Can he communicate his suspicions to Meredith before it’s too late? *I was given a free copy of the book in exchange for an honest review.